For Shichung, 41 yrs old. Father of two children. Shichung attended the local entertainment program. When he came home, he lit a butter lamp i front of a portrait of H.H. Dalai Lama before setting himself on fire. Shichung, a master tailor and father of three became the 121st Tibetan to die of self-immolation protest in Tibet. A Tibetan man known for his master tailoring skills has died of self-immolation protest in front of his home in Thawa Village in Gomang Township in Ngaba (Ch: Aba) County in Ngaba Tibetan and Qiang Autonomous Prefecture, Sichuan Province. The total number of self-immolation protests inside Tibet has now reached 121. 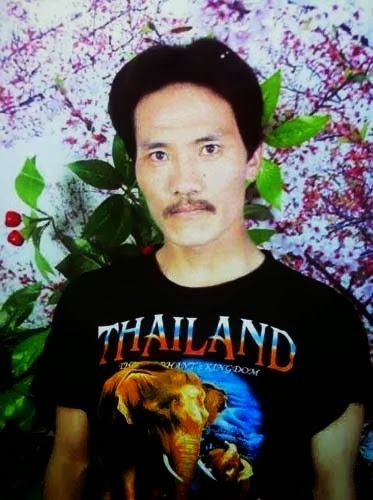 According to information received by TCHRD, Shichung, 41, set himself on fire at around 4 pm (local time) on 28 September 2013 to protest against China’s repressive policies in Tibet. At the time, local Tibetans were participating in a prayer ceremony conducted every year in the village. Shichung conducted his self-immolation protest in front of the gate of his house, which lies close to the highway that connects Ngaba to Golog (Ch: Guoluo) in neighboring Qinghai Province. Eyewitnesses said that on the day of the prayer ceremony, sometime in the afternoon, Shichung left the prayer ceremony and headed toward his home. There, at his house, he lighted a butter lamp in front of a portrait of the Dalai Lama. Moments later, he was seen engulfed in flames outside his house. He walked forward around forty steps and died. Soon, local Tibetans gathered for the prayer ceremony rushed toward the site of the self-immolation to protect Shichung’s body. Local police assigned that day to keep watch over the prayer ceremony also arrived at the scene and attempted to control the crowd. Sources told TCHRD that the police had already taken out their guns even as the scuffle between the two sides began to escalate. But the elders in the village intervened and negotiated a temporary truce. For sometime, Tibetans were able to keep Shichung’s body at his home for prayers. Later in the evening, local police arrived without warning and forcibly took away Shichung’s body in a vehicle that, local eyewitnesses say, headed towards Ngaba County town. There is no information on the current whereabouts of Shichung’s body. There is a pattern to the way China has been disposing off bodies of self-immolation protesters. In many cases, Chinese authorities had given only ashes to families and relatives of self-immolation protesters. In Tibet today, even the dead are denied their right to a culturally appropriate cremation. Moreover, restrictions have become more severe on families and friends who hold necessary religious rituals in memory of a deceased in self-immolation protest. Based on some warped logic, China has been arresting and imprisoning Tibetans on criminal charges, which include imprisonment for those who offer prayers and condolences to the families of a deceased in self-immolation protest. Sources told TCHRD that days before his self-immolation, Shichung had confided to many of his friends that he found living difficult under Chinese repression. “They [Chinese government] won’t let us live,” sources quoted Shichung as saying to his friends. At the time of reporting, Chinese security presence has increased in Gomang Township after more police came following the latest burning protest. Shichung is a reputed master tailor in his hometown. Local Tibetans remember him for his great tailoring skills; during major festivals, he used to set up shop selling clothes he had made. He is survived by his wife, Palo, two daughters, and a son. Farming is the main source of income for the family. DHARAMSHALA, September 28: A Tibetan man died after setting himself on fire today around 4.30 PM(local time) in Gomang Thawa township in Ngaba County, reported the Tibet Times. Dharamshala: - Emerging reports coming out of Tibet say a Tibetan man elf-immolated in Ngaba County, North-eastern Tibet on Saturday, September 28, in protest against Chinese rule in Tibet. "Shichung, aged 41, set himself on fire on a highway at Gomang Thawa area in Gomang Yutso township, Ngaba county of Tibet, in an apparent protest against Chinese repressive rule in Tibet." Kanyak Tsering and Lobsang Yeshe from Dharamshala based Kirti Monastery told The Tibet Post International. "Shichung burned himself on Saturday evening, at approximately 4.00 pm locally and died after walked about 40 steps on the highway with shouting slogans against Chinese rule". Source stated that "the latest self-immolation protest occurred when the local Tibetans were holding a prayer service at the Gomang Thawa." The sources in exile however said "he died at the scene and local Tibetans in the town who had tried to protect his body from being taken away by the Chinese. But later the Chinese police took away his body by force." "Prior to the self-immolation, Shichung has offered a lighted butter lamp in front of a portrait of His Holiness the Dalai Lama," they further said, citing sources in the region. The burning protest by Shichung brought to 121 the total number of self-immolations since the wave of burnings began in 2009 in protest against Chinese repressive rule and of them 104 were reportedly passed-away from their severe burn injuries. According to the same sources, "Shichung was a farmer and he is survived by his wife Palo, 39 and their 18-year old daughter and 14-year old son." In 2013 alone, 23 Tibetans set themselves on fire to protest against China to end its government's hardline policies against Tibet and the Tibetan people. Konchok Sonam, a 18-year old young Tibetan monk died on July 20 this year, after setting himself ablaze. He shouted slogans- calling "freedom for Tibetans" as he sets himself on fire in Dzoge township of Ngaba County. The Central Tibetan Administration based in Dharamshala, Indian has repeatedly urged Tibetans to refrain from resorting to drastic actions such as self-immolation. The Beijing officials however subsequently accused exile Tibetans of inciting the self-immolation protests.